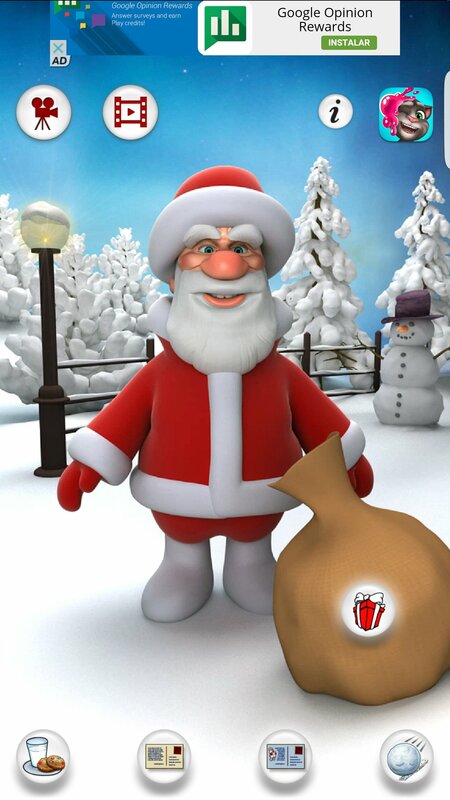 Talking Tom, Talking Ben and Talking Angela are in for some tough competition: Talking Santa. You already know the gameplay from the previous games: speak through your microphone and let Father Christmas repeat what you've said. 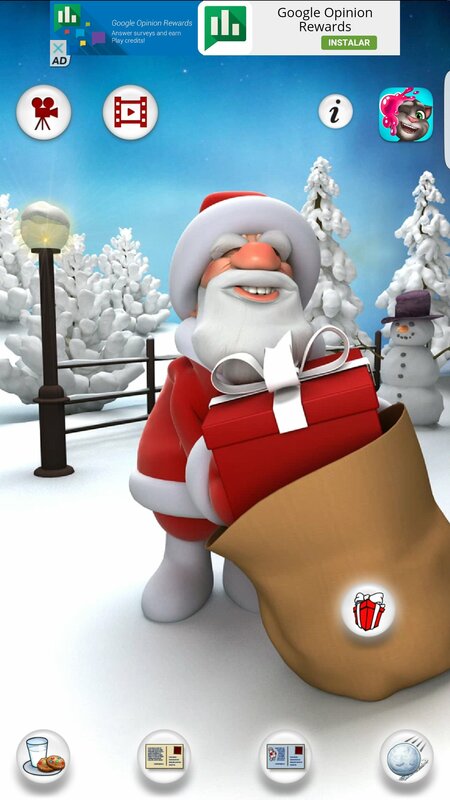 Delight your friends and family at Christmas with Santa Claus. 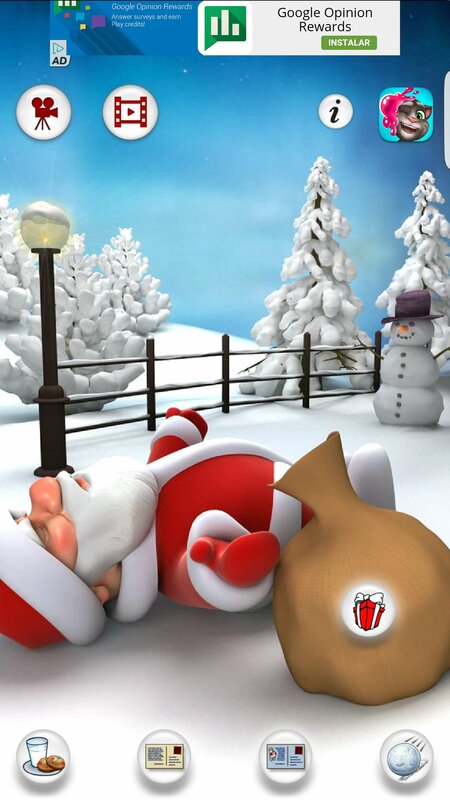 Have you been or good or naughty? Talk and let him repeat what you say. Touch him to see his reaction. Run him down with a huge snowball. Feed him milk and biscuits. 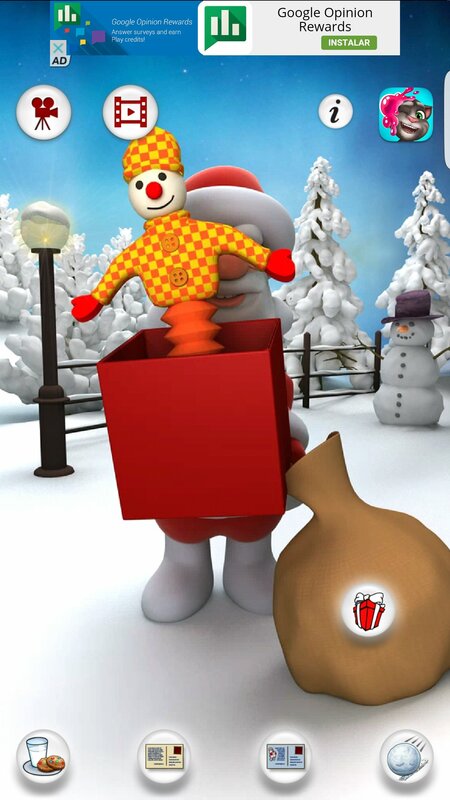 Tap his sack to see his gifts and find out if you've been good or bad. 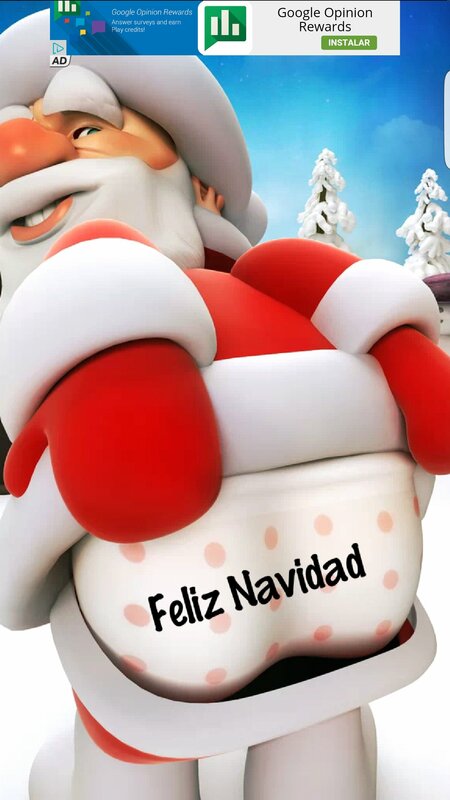 Send customized Christmas cards by email, message or Facebook. Record videos and upload them to YouTube and Facebook or send them by email.